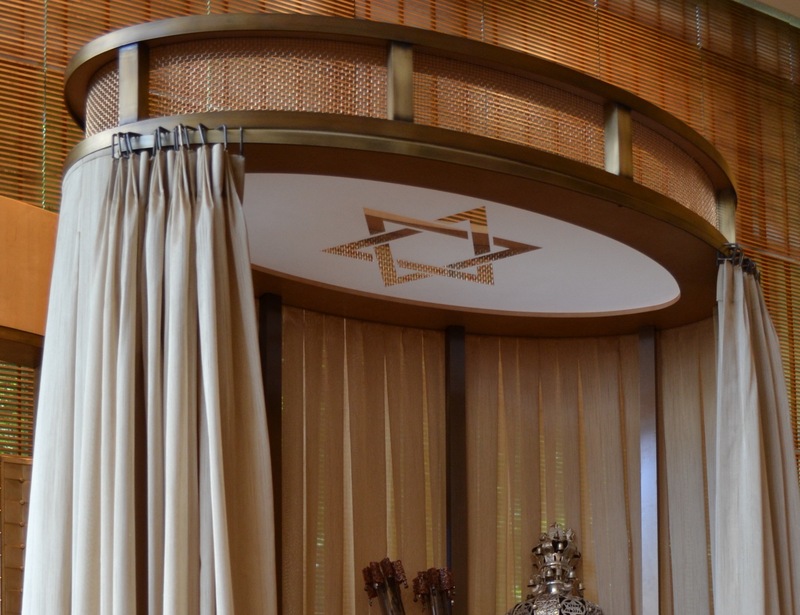 Designed by Dan Kendall, this custom made Ark is the focal point at Temple Beth Elohim. Constructed out of bronze and alumin tubing, with bronze mesh, wood, plexi, and fabric, this piece fits the client’s needs to be disassembled and stored when not in use. The idea and execution highlight Sincere’s focus on elegance in both form and function.